William Hastings Drummond was born on 27 June 1891 at 46 Wadham Road, Bootle [Google map]. His parents were William Sinclair Drummond, a Scotsman whose career as a marine engineer had brought him to Liverpool, and Jane Drummond. He was the eldest of three brothers, the others being Harold and Robert Drummond. Like most young men of his generation, William was cast in the shadow of the looming Great War. He volunteered for military service as soon as the war began, joining the ranks of 10th (Scottish) Batallion King’s Liverpool Regiment on 7 August 1914. He was posted to D Company, serving at King’s Park Camp in Edinburgh and Tunbridge Wells billets. He volunteered for foreign service on 27 October 1914. On 1 November 1914 aged just 23, Private 3179 Drummond embarked on the SS Maidan for France as part of the first territorial battalions to be deployed there. The fighting appears to have taken a considerable toll on him. The family recount that he was completely healthy when he went to war, but after seven months he returned home on 15 June 1915, the day before his regiment fought in The Battle of Hooge. The army had decreed that heart trouble and ‘neurasthenia’ – a now disused diagnosis common in WW1 for people suffering stress, anxiety and depression – and this left him unfit to fight. He continued to work for the regiment and was promoted to Sergeant in September 1917. He was granted a medical discharge on 1 February 1919 and was awarded the 1914 Star, the British War Medal, the Victory Medal and an annual pension of 11 shillings. He was able to return to his old job at Vincent Murphy and Co Ltd the timber merchants with whom he would stay with all his working life. John’s mother, Nellie, was born in Huddersfield, Yorkshire to John and Martha Chambers in 1895. 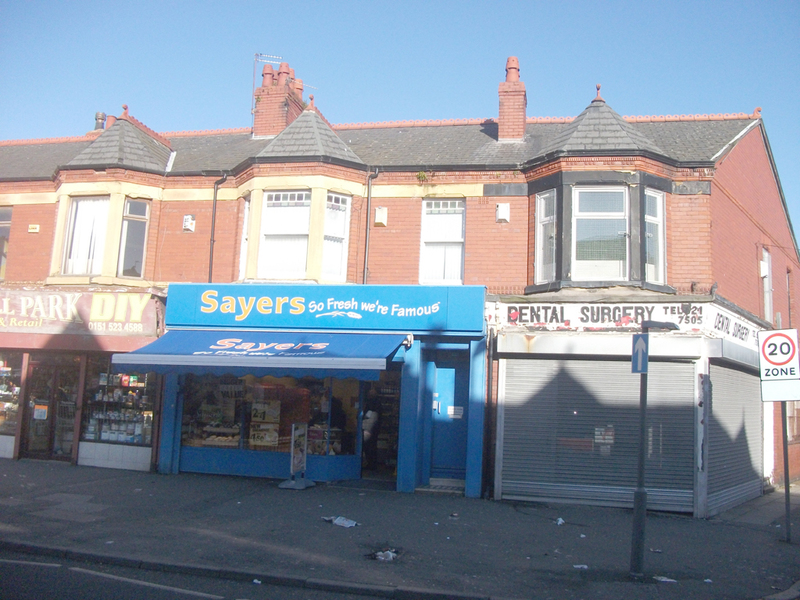 The Chambers family moved to Litherland around 1901 where John worked as a commercial clerk and then as a clerk for a wholesale grocers. William married Nellie Chambers in the summer of 1916 and they went on to have two children, Helen and John. In 1924 they left their home in Warbreck Road moving to 34 Cavendish Road, Blundellsands [Google map]. 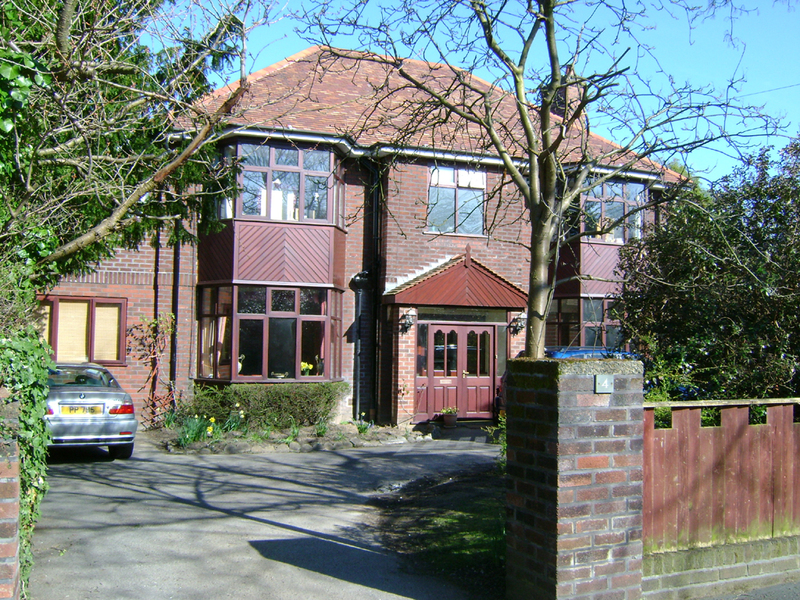 As William’s career progressed, they were able to move again and in 1930 settled in the house that would remain the family home until William’s death in 1967 at 4 Far Moss Road, Blundellsands [Google map]. William had a successful career eventually becoming co- Managing Director of Vincent Murphy and Co Ltd and travelled the world in the course of his business. He became president of the Liverpool Timber Trade Benevolent Society and was also a Freemason, joining Sylvanus Lodge No 3670 (Bootle) where he became a Worshipful Master. William died at a nursing home on 27 September 1967. His funeral was held on 2 October at St Michael’s Church, Blundellands, the same church where John’s funeral had been held 27 years earlier. He was interred in John’s grave and his name can be seen on the left hand corner of the grave plot as well as on the headstone. After William’s death Garda was sold to a Mr R M Faulds and Nellie moved to a nursing home on the Wirral where she was visited daily by her daughter Helen. Nellie passed in November 1968 and was interred in the same grave as John and William although her name doesn’t appear on the headstone. William wasn’t the only member of the Drummond family to see service in the Great War. His younger brother Harold also joined 10th (Scottish) Batallion King’s Liverpool Regiment in October 1915. He was wounded in action on 21 September 1917, reportedly taking a gunshot wound to the face. Five days later he returned to the United Kingdom and became a musketry instructor for the Regiment. He was discharged in 1919 having served for a year and four months with the British Expeditionary Force and was awarded The Silver War Badge, given to service personnel who had been honourably discharged due to wounds, the British War Medal and the Victory Medal. However, when Harold spoke of his war experiences, he always insisted that the wounds he received were caused by shrapnel from a bomb exploding in a trench close by to him. The debris from the blast buried him and upon his return to Liverpool he could not sleep indoors, and it took many years for him to overcome his fear of enclosed spaces and sleep again in a bed. On 17th January 1939 one of Harold’s sons, Ian Sinclair Drummond, died of meningitis pneumonia, just a day before he turned 18. That began the series of tragedies that was to befall them over the next 18 months. William’s other brother, Robert Fraser (Bert) Drummond, enlisted as a Territorial in the University Section of the Cheshire Brigade Company of the Army Service Corps. He was subsequently commissioned in the Cheshire Regiment serving in France from September 1917 with both the 3rd and 15th battalions, gaining the rank of 2nd Lieutenant. His Service Record read “A reliable officer who has done very good work with this battalion during the severe fighting of the last year,” and was signed by Harrison Johnston on 30th November 1918. John was born at 70 Moss Lane, Liverpool [Google map] on 19 October 1918 in a nursing home run by a midwife, Bertha Tyson. He was the second child of William and Nellie Drummond who already had a daughter, Helen, born in June 1917. John spent his earliest years at 47 Warbreck Road before the family moved to 34 Cavendish Road, Blundellsands in 1924. He attended a Church of England Primary School near to his home but the family moved again to 4 Far Moss Road in 1930. The family would stay here until John’s father’s death in 1967. At the age of eleven he attended Deytheur Grammar School, as a boarder, in the small Welsh village of Llansantffraid, Powys [Google map], close to the English border. The school was closed in 1967 and most of it demolished in 1971 but the old school house remains and is now a 750k private residence. In January 1934 John started Wellington School, Somerset, again as a boarder. He was placed in Willows House and went on to represent them at tennis, cricket and cross country. He took part in the school’s Officer Training Corps, earning his A Certificate in March 1935 before becoming a Lance Corporal in May. He was quickly promoted to Corporal before finishing as a Sergeant. In July 1935 he passed his School Certificates in scripture, English, geography, elementary maths and chemistry. He left Wellington in April 1936 with the Senior Prize for divinity. In 2004 The Battle of Britain Historical Society presented a plaque to Wellington School, recognising John’s achievements as a pilot. Upon returning to Liverpool, John took up an apprenticeship with Vincent Murphy & Co Ltd of Derby Road, Bootle, the timber merchant his father worked for as a salesman. This work didn’t satisfy John and, influenced by a family holiday to Germany circa 1936 from which he believed the Germans were preparing for war and not wanting to fight in the trenches as his father and uncles had, he was determined to pursue his ambition to fly. So his parents relented and he applied to join the RAF. He passed his medical on 18 November 1937.